The Monster Energy NASCAR Cup Series has the weekend off, but both the NASCAR Xfinity and Camping World Truck series are going road racing this weekend, the Xfinity Series on Saturday in the Johnsonville 180 at Road America in Elkhart Lake, Wis., and the Truck Series on Sunday in the Chevrolet Silverado 250 at Canadian Tire Motorsport Park in Bowmanville, Ontario, Canada. Jeremy Clements was the surprise winner of last year’s Xfinity Series race at Road America. He’s the only current series regular to get to victory lane in Xfinity competition at Road America. 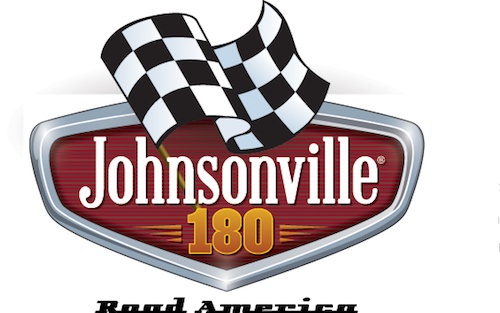 the Johnsonville 180 marks the return of NASCAR Hall of Famer Bill Elliott. A one-off deal with GMS Racing will put Elliott behind the wheel of the No. 23 on Saturday. Saturday’s 45-lap race, the first of four races remaining in the Xfinity Series regular season, is scheduled for two 10-lap stages, followed by a third and final 25-lap stage. Meanwhile, the Camping World Truck Series kicks off its seven-race playoffs Sunday. The Chevy Silverado is scheduled for 64 laps, divided into a couple of 20-lap stages followed by a 24-lap third stage. Austin Cindric, who has since moved on to the Xfinity Series, is the defending winner of the race. None of the current crop of full-time Truck Series drivers are former winners at Canadian Tire Motorsport Park, but 2016 race winner John Hunter Nemechek is on the entry list for Sunday’s race. After fairly high chances of rain and thunderstorms plaque the area around Road America on Friday, the chance of precipitation decreases to 25 percent on race day for the Xfinity Series. Saturday’s race-day temperature also supposed to be mile with a high of 80 degrees predicted. Meanwhile, the race weekend forecast for Canadian Tire Motorsport Park includes a 70 percent chance of rain on Saturday, along with a high temperature of 76 degrees. The chance of rain on Truck Series race day (Sunday) is expected to drop to 25 percent, while the forecasted high temperature rises to 82 degrees.